Theresa May has accepted the offer of more talks with Jeremy Corbyn to break the Brexit deadlock, boosting chances of a breakthrough. The prime minister indicated their teams should meet "as soon as possible" - with less than 50 days to go until the UK leaves the EU and no agreement ratified by parliament. She (Munich: SOQ.MU - news) vowed to take up the points raised in an earlier letter from the Labour leader to her. She questioned his central call for the UK to remain in some kind of customs union with Brussels but said her Brexit deal "explicitly provides for the benefits of a customs union - no tariffs, fees, charges or quantitative restrictions across all sectors and no checks on rules of origin". 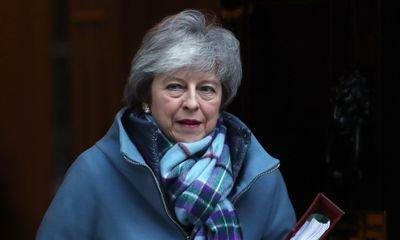 The conciliatory tone of the PM's letter is likely to spark concerns from Brexiteers in her party that she might be prepared to soften her position in order to get a deal through parliament. Tory MPs voted last month to back the divorce terms negotiated with Brussels - but with the controversial Irish backstop stripped out and replaced with "alternative arrangements". Mrs May asked Mr Corbyn to sit down with Downing Street aides to "discuss the exact nature of those alternative arrangements". The current backstop - which kicks in if Westminster cannot agree a trade deal the EU - would see the UK remain in a customs union with the EU, with Northern Ireland retaining some extra regulatory alignment to keep an open border with the Republic of Ireland (Other OTC: IRLD - news) . Mrs May gave brief responses and questions to some of Mr Corbyn's points, but said the details were best hammered out between their teams. She added it was "good to see that we agree that the UK should leave the EU with a deal" and that it remains the most "urgent task at hand". "It does not take the option of a public vote off the table," he wrote on Twitter (Frankfurt: A1W6XZ - news) . MPs (BSE: MPSLTD.BO - news) are gathering in Westminster on Monday for another crucial week of Brexit debates as the Brexit secretary heads to Brussels for talks with the EU's chief negotiator. Mrs May has promised MPs a chance to propose and vote on their own Brexit plans on Thursday - if she has not returned with a renegotiated deal by then.